So you decided to take up the great game that is Badminton, the only problem is you have not played the game before or it’s been a while! Worry not as we will look at all the Badminton techniques the beginner requires to get started. We will look at all the basic Badminton techniques, everything from how to grip your racket, serve to the smash shot! 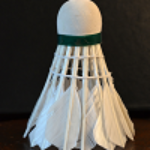 To illustrate the point we use videos from some talented Badminton players and coaches. Here we look at the basic footwork involved in playing a game of Badminton, these are ones you need to practice. This shows you how to execute the Forehand Overhead Shot, Overhead Backhand Shot, Forehand Underhand and the Backhand Underhand shots / swings. Now let’s not forget the basic Badminton stance, here we take a look at the Defensive Stance and the Offensive Stance. The Badminton Serve, there are different kinds of serve here we take a look at the Backhand Flick. Another kind of Badminton Serve, The Long Serve. Lets take a closer look at the Badminton Drop Shot. Now let’s take a closer look at the Forehand Clear Shot. And of course the Backhand Clear Shot. The Badminton Forehand Smash, used to finish a rally and must to master! Those are my “Badminton Top 10 Techniques for the Beginner” which should help to improve your all round game. It certainly covers most of the basics you need to concentrate on, from footwork and stance to serve and smash shots. Once you master all these techniques you will be well on your way to becoming a fearsome opponent. In the end though there really is no substitution for getting out on the court and start practising. Like anything in life if you want to excel at something it’s all about practice, practice, practice!!! I love to play Badminton in my school as well as in Badminton Court in Gurgaon. My achievement in Badminton is achieving 2 gold medal. I tried many Badminton rackets. But according to me, Yandex lightweight badminton racket is wonderful.